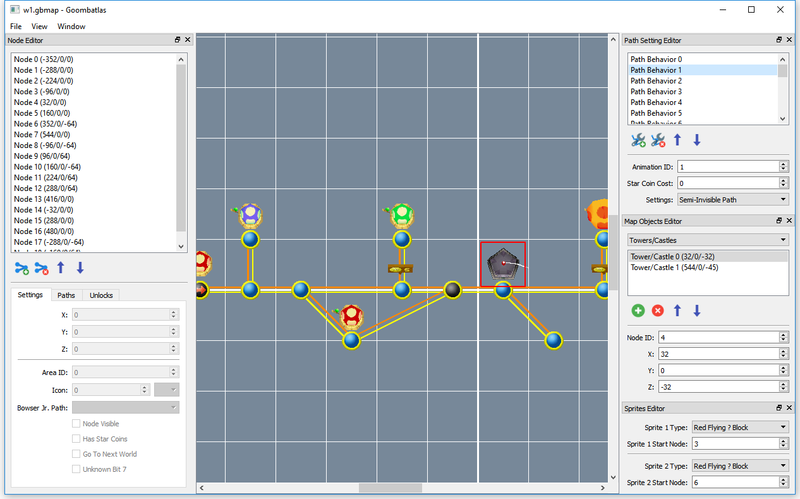 Yup, you see correctly: Another Worldmap Editor. But this time you can finally do stuff! It allows you to have an infinite amount of nodes and paths as well as map objects like mushroom houses and star coin signs. The map editor allows saving maps in an intermediate xml format that allows easy map sharing and makes reading/writing very easy. Then, if you want to put your created map ingame, you can export it to C source code files as well as an file that tells NSMBe to write pointers to our custom stuff. The project is still work-in-progress, but I decided to post it already, since it might already be usefull for some people. You also need to place the "worldmap.h" file in the source folder and if it asks you to save a file called "replaces.x" save it in the root of the ASMPatchTemplate. Remember that this is still wip and might cause some trouble in it current state, since not everything is tested yet. Finally, after all this time, we can have vertically scrolling worldmaps! Is that diagonal paths I see? EDIT: Does this allows to change the number of star coins requiere n'y star coin sings? Those are data paths, not animation paths (aka the paths that determine where Mario can go from a node). You can do anything you want with animation paths though. Maya allows many different transformations, as well as rotation. I might add a simple keyframe editor that allows custom animation paths without Maya in the future. I just didn't want millions of bug reports of thing that are still not finished properly. If you want to test it, compile it yourself with QtCreator. I might add a build if I make enough progress today though. One simple question: will you add a 3D editor, for the worldmap, in it? How much difficult would it be? Or you just don't want it? I read "Maya" so.. Eh, you understand. So you can create the models in Sketchup and do the rest in Goombatlas. Ah, that's true, paths (as texture/model) are in the model file, I forgot. EDIT: This app failed to load because it could not find the platform "windows"
Because why not, I added a build to the first post. 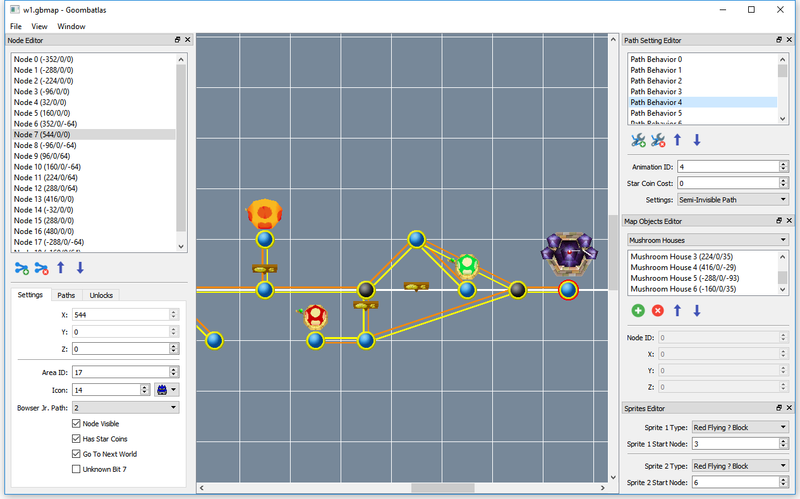 So if I want to edit the anination paths, it's either Maya or the old worldmap editor? Also, can I add Starcoin Signs and change the number of starcoins needed to pass through them? Yeah, Maya would be the best choice thogh. Setting the star coin amount is possible. Have a look at the Path Settings. But iirc the inscription of the signs will not change. "Could not open or create *insert file path* for reading!"